Audits come in different forms. First, if you are to be audited, I.R.S. will always inform you by letter. The first kind of audit is known as a correspondence audit. This type of audit usually comes about due to making minor mistakes (example would be attaching a Schedule to the Tax Return), and requires the taxpayer to mail information to I.R.S. Once the information is mailed to I.R.S., if they are appeased, the case will be closed. The second kind of audit is known as the office audit. In this case, the taxpayer is required to bring the tax related information to an I.R.S. office for review. An example for this type of audit can arise out of a high medical expense deduction, and the I.R.S. would want to see the cancelled checks and the medical bills. The third kind of audit is the field audit. In this case, the I.R.S. agent will visit either your home or your business to double-check the accuracy of your tax return(s). 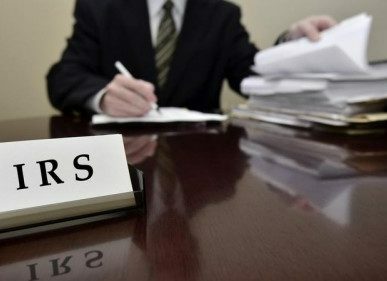 Some returns have Red Flags to the I.R.S. Agents. There are approximately 16 Red Flags that can lead the I.R.S. to single out a particular return for an audit. They are: failing to report all taxable income, taking higher than average deductions, running a small business, high income levels, taking large charitable contributions, claiming rental losses, taking an alimony deduction, writing off a loss for a hobby, deducting business meals, travel and entertainment, failing to report a foreign bank account, claiming 100% business use of a vehicle, taking early payout of a retirement plan, claiming day trading losses, failing to report gambling winnings, claiming the home office deduction and engaging in currency transactions. If you are not ready and do not have time to gather all your records, request a postponement. Representative should answer the Agent’s questions. Be prepared, so that the meeting does not result in a more-in-depth audit. Make sure that the Auditor is contacted if you are not in agreement with the examination report. Try to reach a compromise if you don’t agree with the tax liability. Make sure that you are aware of all your Rights as a Taxpayer. Remember that you can always Appeal the Audit Result. Don’t be a victim of your own making. If you receive an I.R.S. Letter of Examination or Inquiry, please call your Tax Specialist immediately.